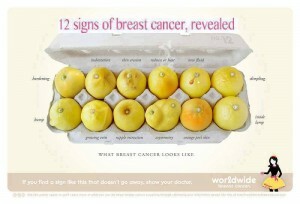 Good information to know for general awareness and a great way to check your breasts to see if there are any changes happening. Remember Cancer has less chance of surviving in an pH balanced alkaline body. Please sign up for our newsletter on the home page and get on the list for the new Fabulous, Fit & Fantastic Living Book. "Get to Your Natural State of Weight". There are delicious pH balanced alkaline recipes you will receive as well . Everyone joining our email list gets a complimentary copy so share with your friends who might want one as well :) ♥ Have a fabulous day!